Real estate developers in Bangalore have shifted their focus from the traditional brick and mortar technique of construction to the contemporary prefabricated technology. The latter not only ensures optimal use of steel and concrete, but also reduces the average construction cost by up to 15 percent. Today, prefabricated technology has emerged as an answer to strict construction timelines and maintenance of uniform project quality. Increased precision, timely completion and the faster delivery of projects have made it a popular choice amidst real estate developers across metros, particularly, Bangalore. Many developers who trade in the affordable housing sector or have recently forayed into the field are adopting prefabrication technology since it abides with construction quality standards, decreases waste and expedites project development without hiking building charges. According to Ashish R Puravankara, Managing Director, Puravankara Ltd, “With affordable housing foreseen as the future of the real estate industry, precast technology is expected to play a gigantic role in its success. It not only overcomes the need for skilled labour but reduces the time lags, too, since approximately, 1,000-2,000 standard-sized residential units are built per project. Overall, the technology comes as a relief for builders who are dealing with rising construction costs on a regular basis.”Moreover, with the rise in the average disposable family income of the homebuyers, demand for mid-income housing units has also increased in the last decade in Bangalore and other major cities. We alone are developing over 20,000 prefabricated homes in Bangalore, which have received healthy demand from homebuyers. 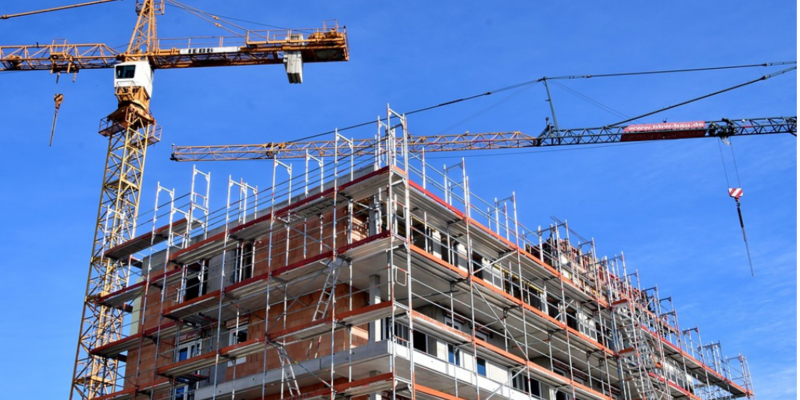 With the constant growth in the demand for such residential units, prefabrication technology seems to be the way forward for the Indian real estate market,” adds Purvankara. Among others, Sobha has also established a strong foothold in the development of prefabricated homes in Bangalore. Some of the prefabricated projects in the city are located along the Balagere Road, NICE Road and Kanakpura Road. Besides, many builders are using prefab technology in leisure projects, too, such as farmhouses and holiday cottages. Grade A developers in Bangalore are extensively using prefab technology like Pre-cast and Mivan Shuttering, to reduce the construction timelines and the development costs. These methods are scientifically proven to be more precise and energy efficient in comparison to the conventional forms of construction. Cost-effectiveness - Pre-fabrication ensures the optimal use of steel and concrete that helps in minimising the wastage and provides durable solutions to the end users, cutting the average construction costs by up to 15 percent. The method avoids expenditure on practices like plastering. The rise in the cost of a property is also directly related to the price of the raw materials. Any increase in the cost of raw materials reflects on the overall cost of construction. However, the efficient use of materials in prefabricated technology ensures lesser expense in comparison to the traditional construction methods; rendering it a cost-effective development process for developers. Time efficiency - One of the most significant Unique Selling Proposition (USP) of prefab technology is time efficiency. Here, the units are assembled in the factory and transported to the site where they are installed in a short span of time, resulting in faster project development. Minimum waste - Prefab homes are built in factories under stricter norms and specific conditions using cutting edge technology. The precision helps in minimising waste and judicious utilisation of the available resources. Moreover, it also addresses the environmental issues by reducing the carbon footprint since units are developed in the factory under controlled conditions. Prefabricated homes are a win-win situation for both the developers and the buyers. Such homes not only involve shorter development cycle but assure the quality of construction too. Besides, it keeps property prices under control by eliminating the unnecessary cost escalations that arise due to delay in raw-material transportation or lack of skilled labours and helps the developers to pass on the price benefits to end-buyers.